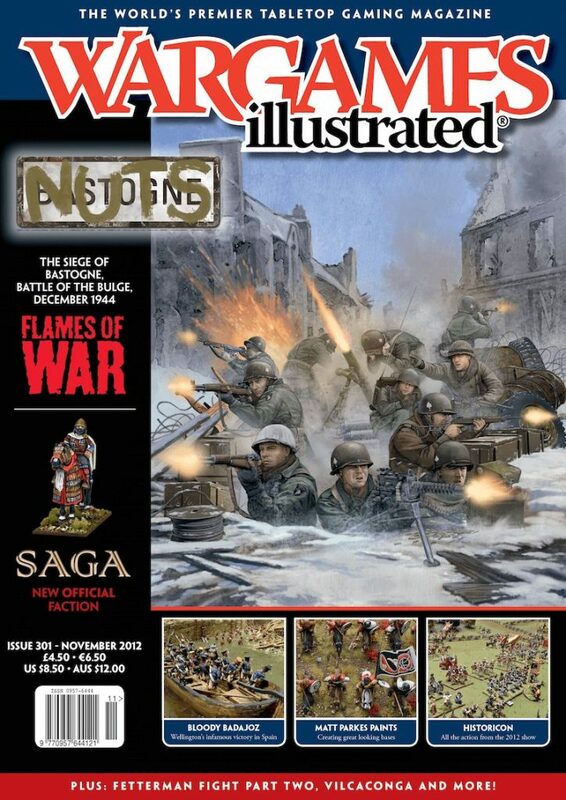 The November 2012 issue of Wargames Illustrated. On 13 January 1945, the 2nd Battalion, 506th Parachute regiment of the 101st Airborne Division attacked the town of Foy in Belgium. The assault was spearheaded by the men of ‘Easy’ company. In this article (in support of their new Intelligence Handbook – Nuts!) 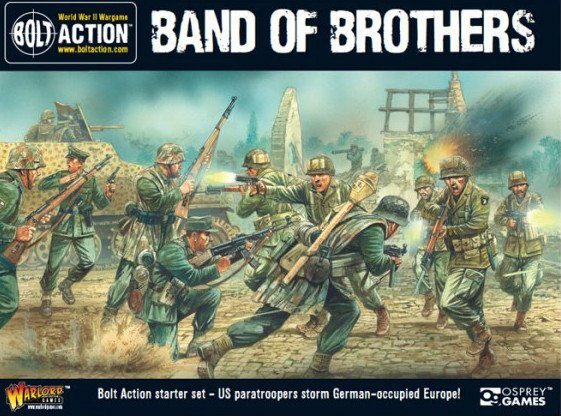 Battlefront Studio staffers Wayne and Victor supply background, army lists and a battle report for their refight of the battle, taking us through the action turn-by-turn and provided you with all the information you need for your own attack on Foy. SAGA author Alex Bouchel has supplied us EXCLUSIVELY with a new (and 100% official) SAGA faction and Battleboard – The Byzantines. You will find all the information you need to introduce your first eastern faction into SAGA here, and if you flip over your mag – you will find the Battleboard on the back cover. When we first saw photos of the amazing Badajoz diorama created by the Recreaciones Historicas team, we knew we had to learn more and, with the help of author Peter Youds, we did. Matt steps back from the paintbrushes to take a closer look at what our models could and should be standing on. The first part of what promises to be a rollicking ride through the Small Wars of Queen Victoria, penned (in wonderful style) by colonial enthusiast Andy Hoare. Dean Emmerson, the man behind the Huzzah! wargames show held in Maine (USA) each year, interviews Andy Niven, the man responsible for building this year’s masterpiece table – the Imperial Legations in Peking. First-time contributor Tyler Mengel provides this wonderful step-by-step for how he painted this characterful Warlord Games’ miniature. A photo-filled expose of the venerable US convention in its new home in Fredericksburg, Virginia. With hundreds of games over the four-day event, there was certainly plenty of fun for everyone.